Note: Many documents on this Website are in Adobe PDF format. "For the public, the FOIA reports should answer certain common questions, such as: How does one request documents? How does the Government respond to those requests, including an explanation of the reasons for not honoring a request? And, how long does it usually take for a request to be processed?" At the behest of Congress, the General Accounting Office ("GAO") has completed three studies of a multi-phase evaluation of FOIA processing, including one study analyzing agency annual FOIA reports to examine the issue of agency FOIA processing times. (Note 5) The Archive sought to look at the processing time issue from a different perspective - that of the FOIA requester - and determine whether the annual FOIA reports provide a useful basis for assessing the true impact of agencies' administration of the FOIA on the requester community. (1) The Annual FOIA Reports Fail To Meet The Goals Set by Congress. The Annual FOIA Reports Mask The Seriousness of the FOIA Backlogs. One of the troubling findings of the Audit was that the statistics reported in the annual FOIA reports obscure the excessive delay experienced by some FOIA requesters. Median processing time statistics, which must be included in the reports, describe only the middle number in a series of numbers. (Note 6) As the Department of Justice's Office of Information and Privacy ("OIP") explains in its guidance on annual FOIA reports, "[g]iven 7 requests completed during the fiscal year, aged 10, 25, 35, 65, 75, 80, and 400 days from date of perfection to date of completion, the total number of requests completed during the fiscal year would be 7 and the median age of the completed requests would be 65 days." FOIA Update, Volume XVIII, No. 3 at 3-7. The average of these numbers would be 98.57 days and the outer limit, of course, would be 400 days. The median processing time statistic provides no means of assessing the outer limits or average length of an agency's backlog and thus is of limited utility in assessing the period of time that FOIA requesters may actually have to wait for a substantive response. NATIONAL ARCHIVES AND RECORDS ADMINISTRATION (Ten Oldest FOIA Requests pending approximately 3390 to 2540 business days; Median Days To Process request pending at the end of fiscal year 2002 reported as 887). In addition to the limitations inherent in reporting only medians, and not reporting averages or ranges, the agency-wide median reported for highly decentralized agencies rarely represents a true median processing time for FOIA requests received overall by that agency. In trying to track down accurate information about the Ten Oldest FOIA Requests, the Archive was told that some agencies ask each component for a median response time and subsequently report the median of the medians on the overall agency annual FOIA report. The Department of Justice's OIP, the principal contact point within the executive branch for advice and policy guidance on matters pertaining to the administration of the FOIA, sanctions such estimates. See FOIA Post 2001 (Supplemental Guidance on Annual FOIA Reports). Similarly, agencies do not necessarily follow a uniform method of calculating the time spent processing requests. For example, depending on their tracking system, some agencies may count and report business days while others count and report calendar days. These include agencies such as the Department of Education, the Office of Management and Budget and the Department of State. For all of these reasons, the annual FOIA reports do not provide Congress with the intended tool for meaningful comparisons among agencies. Recommendation: In addition to median processing time statistics, agencies should be required to report average processing time and the range of processing times for requests and backlogged requests in order to provide a more representative picture of agency backlogs for Congress and the public. Reporting these additional statistics should not impost additional burden on the agencies because they already should be gathering the necessary data in order to calculate the reported median processing times. The Department of Justice's OIP has advised agencies that the calculation of median processing times should be tied to the agency's determination that it has properly received a "perfected request." A "perfected request" is one that "adequately describes the records sought, which has been received by the FOIA office of the agency or agency component in possession of the records, and for which there is no remaining question about the payment of applicable fees." FOIA Update, Spring 1997 (Guidelines for Agency Preparation and Submission of Annual FOIA Reports). These standards are reflected in the FOIA implementing regulations of many agencies. 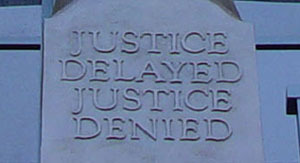 Thus, delays associated with agency routing of requests to components, referring requests to other agencies, fee wrangling, querying about the scope of the request, assigning the request to a FOIA officer, or even just logging in receipt of the request, all offer opportunities for agencies to mask the true time between receipt of a FOIA request and completion of processing of the same request. There is no place on the annual FOIA reports to calculate or catalog the extent of these delays. The Archive's own experience indicates that these sorts of delays can add 3-9 months to the processing of FOIA requests. Thus, the median processing times reported are not an accurate representation of the median number of business days between the submission of a FOIA request and complete processing of the request. Recommendation: Agencies should be required to report the average, median and range of time for processing a request from the date that the request is received by the agency. By designating a fixed, objective date from which to begin counting processing time, agencies will be better able to identify unnecessary administrative delays and the annual FOIA reports will provide a better tool for comparative analysis by Congress. In addition, FOIA requesters will have a better measure by which to estimate likely response time. (2) The Referral Of FOIA Requests To Another Agency for Processing or Consultation May Doom The Request to Obscurity. The FOIA requests that the Archive submitted for each agency's Ten Oldest FOIA Requests included "requests currently being processed or held pending coordination with other agencies." Thus, in several cases the Archive was provided with copies of requests that had been referred to other agencies for processing or consultation regarding specific records or that had been received pursuant to a referral from another agency. One agency explained to us that, although they did not have any overdue FOIA requests awaiting processing by their own agency, they had referrals out to other agencies and had no way of forcing the processing of the requests. 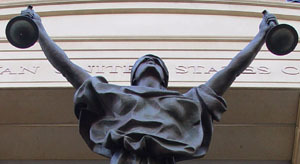 One FOIA requester informed the Archive that the Ten Oldest FOIA Requests had led to her receiving the first contact in a couple of years about her pending FOIA request, but the agency explained that the reason it was not completed was because it had been referred to another agency and that there was nothing the originating agency could do to speed the processing. The Archive was largely unable to determine the nature of the referrals, i.e. whether they were for complete processing or for consultation on specific records. It is not clear from the annual FOIA reports how extensive a backlog problem is due to these various referrals. In the case of agencies such as the Department of Defense (DOD), however, we noted that their response to the Ten Oldest FOIA request included a number of requests that had been referred to DOD from other agencies, and that in some cases up to four years of delay can be ascribed to the originating agency rather than the one that received the referral. This type of information is simply not captured by the annual FOIA reports. It potentially obscures the experience of the FOIA requester, who often is not informed of the details of referrals or of methods of following up with the agencies that receive the referrals. Recommendation: An interagency process for tracking, monitoring and following up on referred FOIA requests should be established to prevent referred requests and requests sent for consultation to another agency from getting lost in the system. In addition, agencies should provide full details of referrals to FOIA requesters, including the nature of the records or request referred, the agency it is referred to, and the contact person at the receiving agency, to enable the requester to follow-up on the referrals. (3) In Larger, Extremely Decentralized Agencies, FOIA Requests Made to Central FOIA Offices May Suffer Extreme Delays. In larger agencies, search and review generally is, and should be, decentralized in order to permit the most knowledgeable personnel to work on identifying responsive records for release. The Archive's experience indicates that agency components often respond more quickly than central FOIA offices to targeted requests. In many cases, however, the Archive found that agencies lacked tracking systems that are necessary to identify and correct persistent processing problems. Several agencies, including the Agency for International Development, FBI, Department of Health and Human Services, Army and Navy told the Archive that their databases or logs were not useful for identifying the oldest pending requests, or that they did not have any tracking or follow up program in place. From the perspective of the FOIA requester, the system may appear broken even though many FOIA offices within the agency are operating effectively and efficiently. The FOIA requester will view the agency as unable to follow up on delayed FOIA requests and will have difficulty monitoring the progress of a FOIA request. There are some solutions to this problem that may help educate and inform the FOIA requester so that the requester can play an active role in facilitating the completion of a response to the FOIA request. First, agencies should acknowledge requests when received and provide detailed notice to requesters of referrals to components and to other agencies. The Archive has long supported the inexpensive, quick, postcard acknowledgment used by the Department of Defense as an effective way to open the channel of communication. Second, all of the initial denial authorities that may receive FOIA requests, along with a description of the office or component, should be published by the Department of Justice as an addendum to it List of Principal FOIA Contacts. The Archive has learned that sending FOIA requests to the Principal FOIA Contacts listed on the Department of Justice Web site may delay and interfere with processing of the request. FOIA requesters will be much more successful if they submit request directly to the component that is likely to maintain the records sought. Many of the agency FOIA Web sites recommend sending requests directly to components. Those that do not already provide information to enable a requester to better target a request should add to their Web sites a list of all of the initial denial authorities within the agency and a description of their function. Finally, all agency annual FOIA reports should include statistics by component as well as the aggregated statistics, to track the way the FOIA requests actually are processed. This practice would make the annual FOIA reports a better means of monitoring the administration of FOIA programs by both the agencies and by Congress. Recommendation: Agencies should acknowledge all requests when received and provide detailed notice to requesters of referrals to components and to other agencies. All of the initial denial authorities that may receive FOIA requests, along with a description of the office or component, should be assembled and published by the Department of Justice as an addendum to its List of Principal FOIA Contacts. Every agency should include on its FOIA Web site a list of all of its initial denial authorities along with a description of their functions. All agency annual FOIA reports should include statistics by component in addition to its aggregated figures. (4) The Quality of Tracking and Monitoring FOIA Requests Varies Immensely. DEPARTMENT OF HOUSING AND URBAN DEVELOPMENT (HUD) - HUD put the request into its complex queue for processing. When the Archive questioned the reason for this, the agency did not provide an explanation and indicated that the category would not be changed. DEPARTMENT OF VETERANS AFFAIRS - VA reports that it has the largest number of FOIA requests (1,496,191 submitted in FY 2002) of any agency and one of the lowest median response times (4-24.6 business days reported in FY 2002). Part of the reason that the VA has such a large number of requests is that they include all Privacy Act requests in their reported numbers, which means that all requests for medical, personnel or benefits records concerning veterans are included in the statistics. Nonetheless, the VA has not responded to the Archive's FOIA request for its Ten Oldest FOIA Requests, which has been pending for over 190 business days. DEPARTMENT OF STATE (DOS) - DOS explained that it has embarked on an ambitious backlog reduction program and as a result has dispersed aged requests throughout the Department so as to concentrate on completing responses. The Archive has had a positive experience with DOS in recent years and has begun to see the fruits of the Department's backlog reduction efforts. DEPARTMENT OF LABOR (DOL) - DOL explained that it is extremely decentralized and thus it would be difficult to identify the oldest FOIA requests. The Archive later made separate requests to the five DOL components that receive the greatest number of FOIA requests and has received responses from two (2) out of five (5) of those offices. DEPARTMENT OF TRANSPORTATION (DOT) -DOT explained that it is extremely decentralized and thus it would be difficult to identify the oldest FOIA requests. The Archive later made separate requests to the five DOT components that receive the greatest number of FOIA requests and has received responses from one (1) out of five (5) of those offices. DRUG ENFORCEMENT ADMINISTRATION (DEA) - DEA responded to the request with a list of pending FOIA requests that all appear to have been filed in 2002. The Archive requested copies of the actual requests on May 2, 2003, but was told that it would take time to open each file and find the original requests. This broad range of responses suggests that agencies are not making effective use of multi-track systems that could be used to put on a faster track straightforward requests or requests for identified records. It is possible that the delay in many responses means that some of the requests identified in this Report may have been filled during the Archive's over nine (9) months of fact gathering. In one case, an agency informed us that our request attracted senior management attention and triggered an internal process to complete processing of the old requests. In at least one case, a request filed in 1989 with the CIA was responded to on April 22, 2003, during our fact gathering period and after the CIA had identified the request as one of its Ten Oldest. Recommendation: Agencies should constantly evaluate their tracking and monitoring systems to take advantage of multi-track processing advantages. (5) Many Agencies (23 Out Of The 35 For The Time Period From 1998 Through 2002) Appear To Be Experiencing Reductions In The Number Of FOIA Requests Received. Since at least 1997, OIP has advised agencies to treat all Privacy Act requests - requests by an individual for that individual's own records - as a FOIA request. The rationale behind this policy is to ensure that requests for access to records regarding oneself result in the maximum possible disclosure. Generally speaking, a Privacy Act request is for personnel, medical or other easily identifiable and locatable records. The result of this policy is that some agencies' annual FOIA reports document remarkably high numbers of FOIA requests and, often, remarkably short processing times. This is best illustrated by the Department of Veterans Affairs' reported 1,496,191 FOIA requests for 2002 compared to its 210,371 requests for 1998. Many of these are likely requests from veterans for their medical or benefit records. Similar dramatic increases can be seen in the numbers reported by the Social Security Administration (from 64,857 in 1998 to 268,488 in 2002), which attributes the increase to the popularity of Social Security documents among genealogists, and the Office of Personnel Management (from 1,801 in 1998 to 9,032 in 2002). A more cynical interpretation is that many FOIA requesters have given up on the system because of the history of slow responses. The Ten Oldest FOIA requests demonstrated that many media requests are being filled so slowly that the news may lose its currency. Some requests, filed in the 1980s, reflect the news of the 1980s. Delaying release of appropriate information about these matters for 15 years completely undercuts the purpose of the FOIA and makes it impossible for the Act to serve the purpose of informing the electorate and permitting for public debate about the activities and operations of the government. It certainly serves the purpose of discouraging journalists and others working on a deadline from using the FOIA. Recommendation: Agencies should use technology and electronic dissemination to streamline FOIA processing and reduce the number of FOIA requests. (6) FOIA Processing Suffers When There Is Little Accountability. Frequently non-FOIA personnel do the actual search and review part of FOIA processing. Because of the importance of their core responsibilities and because FOIA processing is not a factor upon which their performance is evaluated, reviewers may give FOIA processing an extremely low priority. In some agencies, even where the FOIA office is efficient and responsive, it appears to the outside FOIA requester as if non-FOIA personnel may be lacking in the accountability and effective prioritization that is necessary to reduce the backlog of outstanding FOIA requests. Often, there appears to be little senior management involvement in the FOIA program. The Archive had a difficult time identifying the causes of backlogs because responsibilities are dispersed throughout some agencies with no one taking ultimate responsibility. Thus, even when backlogs develop or litigation ensues, it may be difficult to correct the underlying problems. These problems are reflected in the findings of the EPA's 2001 FOIA Task Force, which issued numerous recommendations for improvement of EPA's FOIA processing. (Note 8) The efforts of the taskforce and implementation of its recommendations may account for the reduction in EPA's backlogged requests from 12,790 pending at the end of 2001 to 4,567 pending at the end of 2002. Recommendation: Agencies should ensure that senior management is supportive of the FOIA program, and that all agencies' staff understands that the FOIA program is an important part of government service to the public. Each agency should initiate a taskforce to assess its individual administration of FOIA, incorporate FOIA goals in the agency's mission, and consider fulfillment of FOIA obligations in performance evaluations. (7) Tremendous Disparities Exist Between Agencies' Workloads, Backlogs, and Processing Times. Review of five years of annual FOIA report statistics for the 35 agencies surveyed demonstrated that there is tremendous variation in the number of FOIA requests received and processed, and the length of the backlogs. It would be valuable to study the resource distribution for FOIA among the agencies. Unfortunately, it appears that any study based on the expenditure numbers included in the agencies annual FOIA reports would not provide accurate results. Our discussions with agency personnel indicate that the figures reported for expenditures on FOIA are broad estimates. Recommendation: OIP and the Office of Management and Budget should issue additional guidance and conduct training to assist agencies in calculating the cost of FOIA so that it will be possible to determine the connection, if any, between expenditures and backlogs and to assess whether agencies are being provided sufficient support for their FOIA programs.